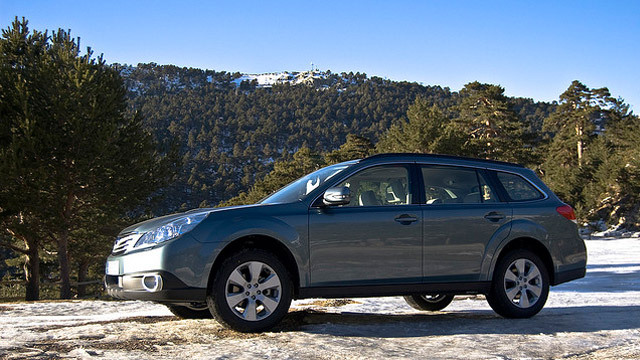 There are several different preferences for appropriate service routines for your Subaru. General repair shops will treat your Subaru like any other vehicle in their garage. As a Subaru driver, you know what to expect out of your high-performance vehicle. And so do we! Inexperienced mechanics will use outdated technologies to service your vehicle, but Todd’s Automotive in Lake Oswego, OR stays abreast of all the latest equipment. Protect your Subaru’s powerful and dependable engine performance with the most effective maintenance service schedule. The most important service for your Subaru is the all-important oil change. We’ll consider your Subaru’s specific year and model, your driving habits, and the manufacturer’s recommendations when designing your service plan. We also understand the unique needs of the Subaru’s all-wheel drive system. We’ll schedule appropriate maintenance service intervals that include lube services, engine diagnostics, tune-ups, check engine lights, inspections, emissions control, and much more. Protect Your Subaru–For a 2nd Opinion You Can Trust! Come to our Subaru experts as soon as you notice any problems or concerns with your engine, transmission, steering and suspension, braking system, and more. We got you covered from bumper-to-bumper. All we need is for you trust the top quality Subaru repair service you receive at Todd’s Automotive. The sooner we get a look under the hood, the easier and more affordable your Subaru’s repair and maintenance service will be. Your Subaru is a highly-respected vehicle make and it should only be serviced by highly-qualified technicians. Our team loves fixing whatever problem is preventing drivers from experiencing the highest standard of Subaru performance. Our goal is to eliminate all stress and worry about your Subaru’s performance. We return your vehicle to its original condition. Remember how smooth but powerful your Subaru was as you drove it off the dealer’s lot? Todd’s Automotive will bring that day back by providing exceptional auto services that always makes you feel like you’re behind the wheel of a new Subaru. We’re a team of Subaru enthusiasts just like you. We know your vehicle better than most and provide the most efficient and most effective Subaru services in Lake Oswego, OR. Our reputation for quality auto services precedes us, yet still strive to go above and beyond to meet all of your Subaru’s service needs. Give us a call today to schedule your next Subaru service appointment. We make your auto service as convenient as possible with our online scheduling system. Pick a day and time that works best for you and we’ll meet you here! The next time you’re in the Lake Oswego area, feel free to stop in for a second or third opinion on any of your Subaru’s repair quotes.